The integration between their tools is awesome. Obviously JIRA Service Desk uses JIRA in the back, which gives you all the powers of a regular JIRA project. But that’s not all! You can link your JIRA (Service Desk) with Confluence (knowledge base), HipChat (quick and easy communication via chat), and much more. The product is only a couple of years old and has been growing a lot. Until a couple of months ago we were really missing the WYSIWYG editor for customers logging a request but as usual Atlassian has resolved that issue by releasing a new version that includes this WYSIWYG editor. Basically the way I would start evaluating every piece of software. Start small, grow big. So start using JIRA Service Desk within a single team with a small amount of end-users they are supporting. Founded back in 2002, and based in Australia, Atlassian has quickly made themselves a big name in business software. After their initial founding, the provider released JIRA, its flagship application. As a project management and issue tracker solution for software companies, JIRA has become a brand of itself including extensions and applications built off the platform. In 2004, Atlassian introduced its team collaboration platform, Confluence, which enables users to work together on projects and content. The JIRA Service Desk is one such extension of the JIRA platform, designed to provide organizations with the tools and functionality that they need to not only track any issues or bugs, but also directly interact with customers and clients using your platform. The Service Desk solution provides teams with the tools to create a customer portal with self-service options, including a knowledge base and frequently asked questions, as well as the tools necessary for agents and administrators to manage, service and recording customer inquiries and support requests. Pricing calculator available to determine. 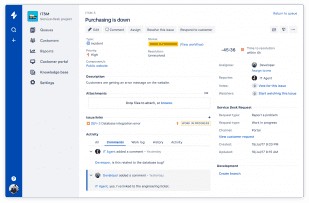 For those organizations already invested into the Atlassian eco-system, specifically utilizing JIRA to help manage and maintain ongoing projects, will be able to take full advantage of the provider’s JIRA Service Desk solution. This simply modern, collaborative and powerful service desk software solution enables teams to manage and issue bugs within their software, and provide direct support to the clients and users of that software. 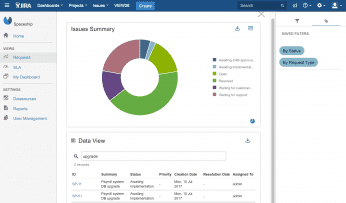 Overall, JIRA Service Desk is the provider’s help desk tool. 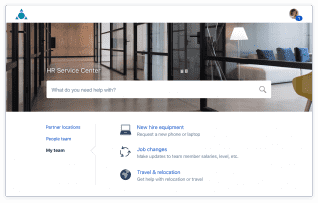 The JIRA Service Desk enables your organization to create a unique customer portal with self-service options, including tutorials and frequently asked questions. But beyond just self-service options for your customers and clients, the Customer Portal also enables them to create a helpdesk ticket online or even through email. The platform is then designed to help agents manage and respond to these requests, with customizable queues, automated request management. 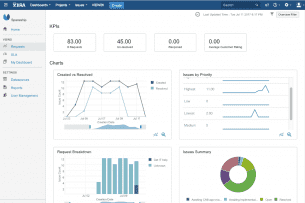 Directly aimed at organizations looking to maintain and manage their software, and client issues with the software, one of the strongest selling points of the JIRA Service Desk is the built-in SLA management. With SLA management, your agents and administrators can ensure complete compliance, with SLA goals and requirements clearly visible at all times. Calendars are also available within SLA management to ensure agents will stay on track and compliant. Beyond managing SLAs, the Service Desk also provides organizations with advanced real-time reporting, enabling administrators to better understand how the Service Desk is running and being utilized, at any given time. Customer inquiries and requests can also be placed into customizable agent queues to help provide the fastest support to the highest priority tickets and issues. Atlassian’s pricing structure is flexible as well, with small teams only being charged a flat rate, and larger teams only be charged based on the number of agents per each month. Customers also have the option to pay monthly, or yearly for a flat rate fee. Atlassian of course makes the JIRA Service Desk available in the cloud, but also offers on-premise options both in a dedicated server or data center for Enterprise organizations. 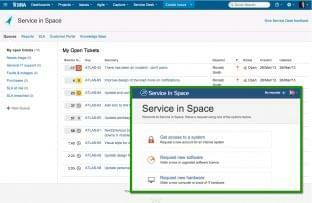 What Do You Think of JIRA Service Desk?